Bulgaria's Ministry of Agriculture has reached agreement with major retail chains on year-round supplies of domestically grown fruit and vegetables. In a Monday interview for the Bulgarian National Television (BNT), Agriculture Minister Dimitar Grekov explained that the implementation of the proposal was obstructed by the lack of preparedness among farmers to unite and nominate representatives to conduct negotiations on the terms of the supply contracts. Grekov, as cited by dnevnik.bg, said that the retailers demanded financial documents, quality certificates, and appropriate packaging from agricultural producers, adding that a part of the output would be exported to other EU Member States. 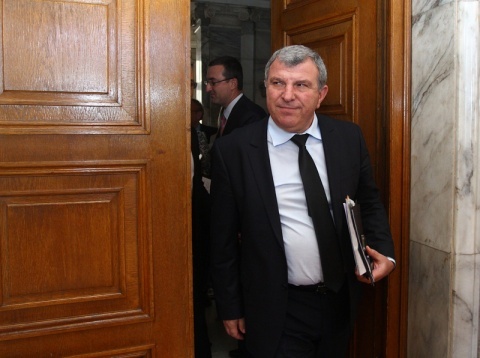 He claimed that resellers were the main obstacle to the development of Bulgaria's agriculture sector, adding that farmers had to find ways to unite and organize the purchasing process themselves. He announced that the budget revision, which was partially vetoed by President Rosen Plevneliev, was scheduled to channel a total of BGN 15 M into agriculture, including a sum of BGN 11.5 M for tobacco growing and a sum of BGN 3.5 M for vegetable growing. He declined to say whether bread prices would drop as a result of the good harvest and the decrease in electricity prices, adding that Bulgaria had the lowest bread prices in the EU at the moment. Grekov also spoke in favor of the demand of grain producers for a decrease in the VAT rate on wheat to 10%, adding that the step would curb corrupt practices and VAT fraud. He made clear that the state budget for 2014 would allocate a total of BGN 70 M to the rebate of excise duty levied on fuel for agricultural purposes, for which Bulgaria would seek permission from the EC. The EC permitted the application of a reduced excise duty rate in the sector for 2013, but it was never applied.